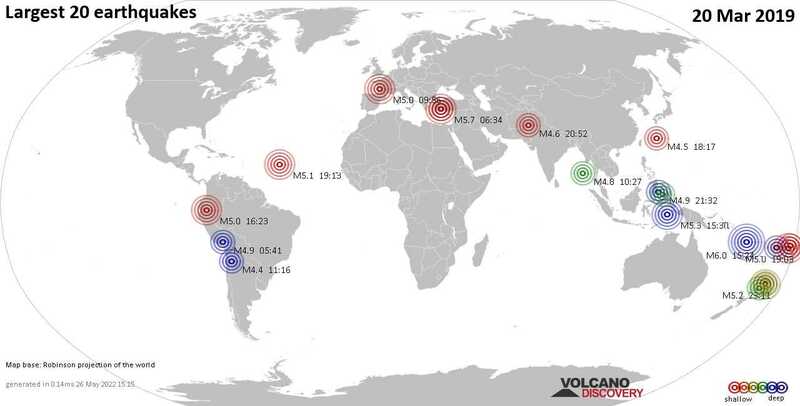 Oaxaca (873.2 km WNW from epicenter) / MMI IV (Light shaking): :29 on 3/21/19 in Oaxaca City I felt sustained rumbling for about 1/2 a minute. Luganville Santo / MMI V (Moderate shaking): Everyone was awaken by the earthquake. Strong shaking lastest approximately 10 seconds. Saint-Sulpice d’Excideuil / MMI IV (Light shaking): I was awoken from a nap. I thought it was someone running vigorously down the adjoining corridor. San Cristobal de Las Casas / not felt: We have sirens in place for anything over 4.0. The sirens went off but we had felt nothing. Santa Maria Huatulco / MMI III (Weak shaking): I felt the bed shake for a few seconds. Guptapara, port blair / MMI IV (Light shaking): Very light shaking. Antalya / MMI V (Moderate shaking): All things on the wall shaked..
Fethiye (0.4 km ESE from epicenter) / MMI III (Weak shaking): Outside on the veranda, the shaking was mild but definitive. Everything moved in unison. Is seemed to last about a minute. Chila Huito / MMI V (Moderate shaking): Crazy!